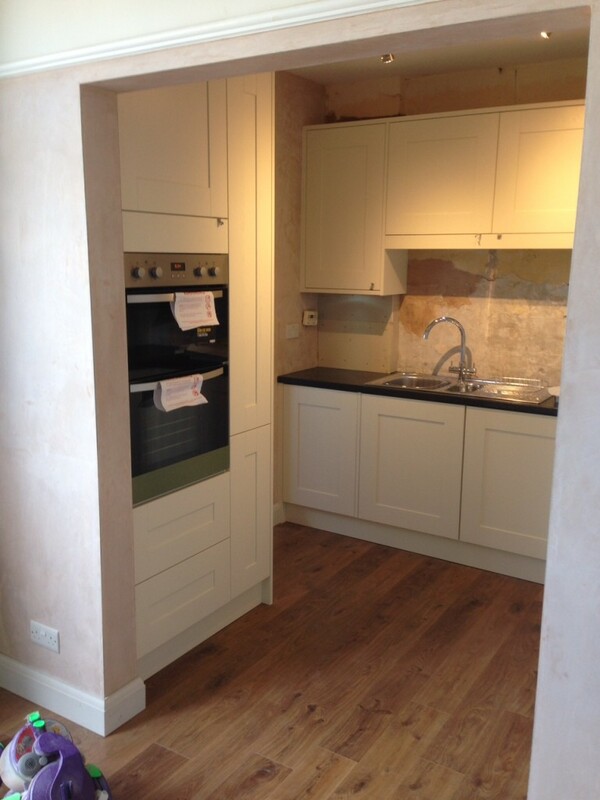 This kitchen was fitted in a new extension to a family home in Sidcup. 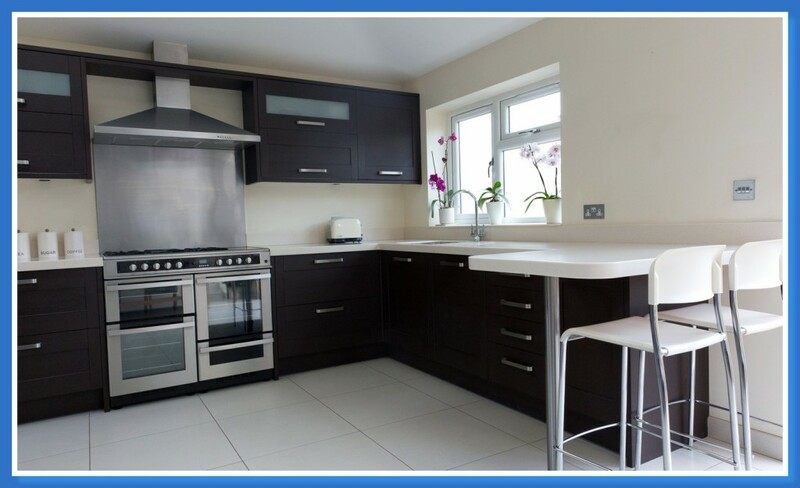 The customers wanted something modern and functional with plenty of storage space. 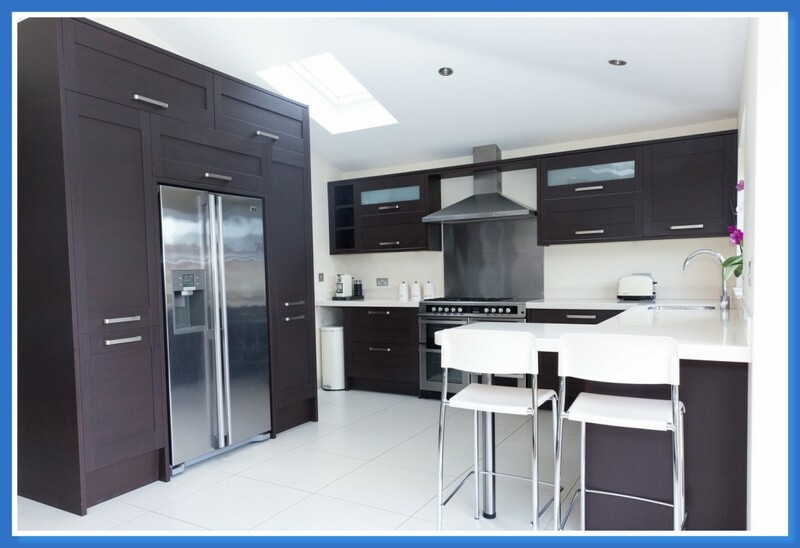 Our kitchen fitters worked with the customer to come up with a design that gave them maximum units and incorporated a breakfast bar area, giving this Sidcup home a new kitchen that they love! 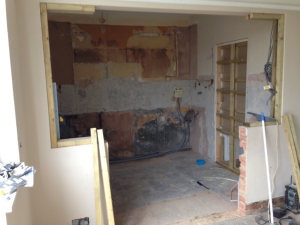 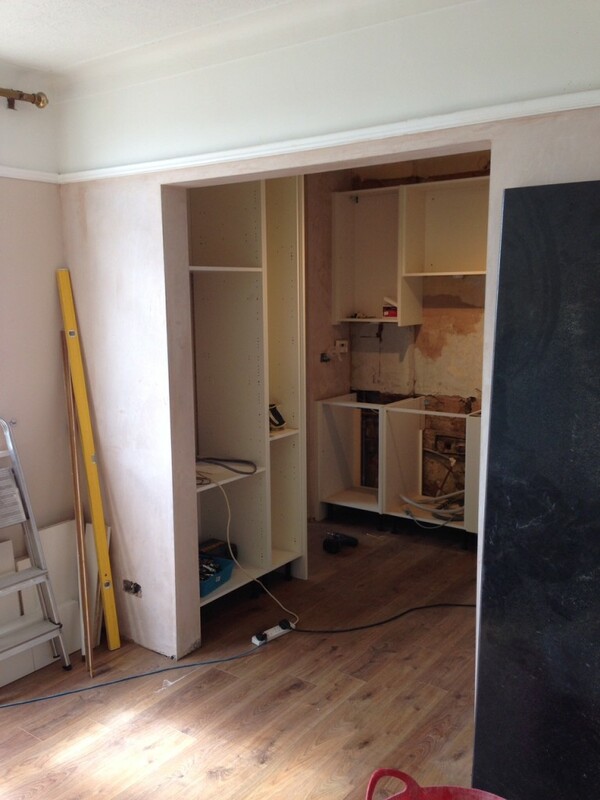 Here are some before and after pictures from a kitchen which we remodelled in Eltham, Greenwich. 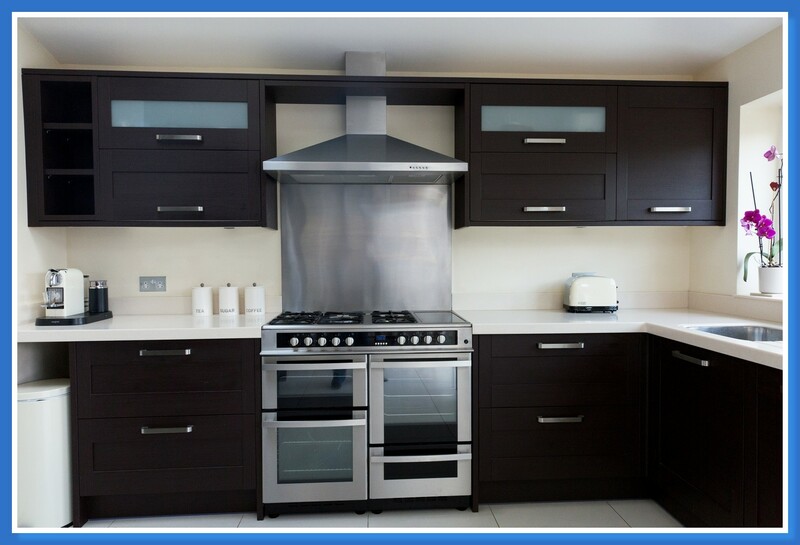 Our customer wished to change their existing galley kitchen into an open kitchen dinner. 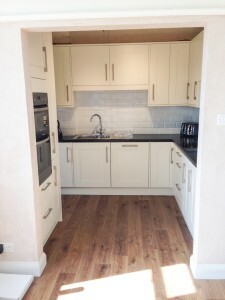 Our team of builders, plasters, electricians, plumbers and joiners transformed the space into an open plan kitchen that the family found much more functional.